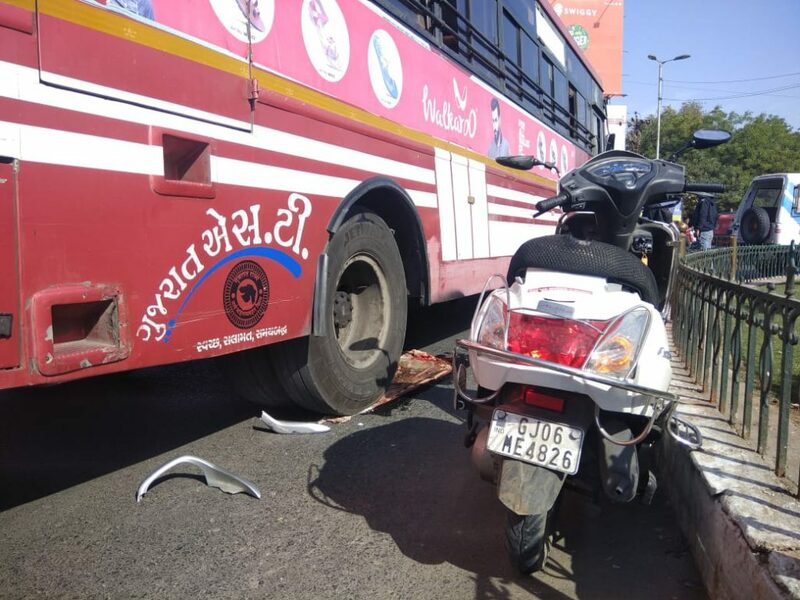 An Activa rider was seriously injured after coming under the wheels of ST bus in Vadodara. 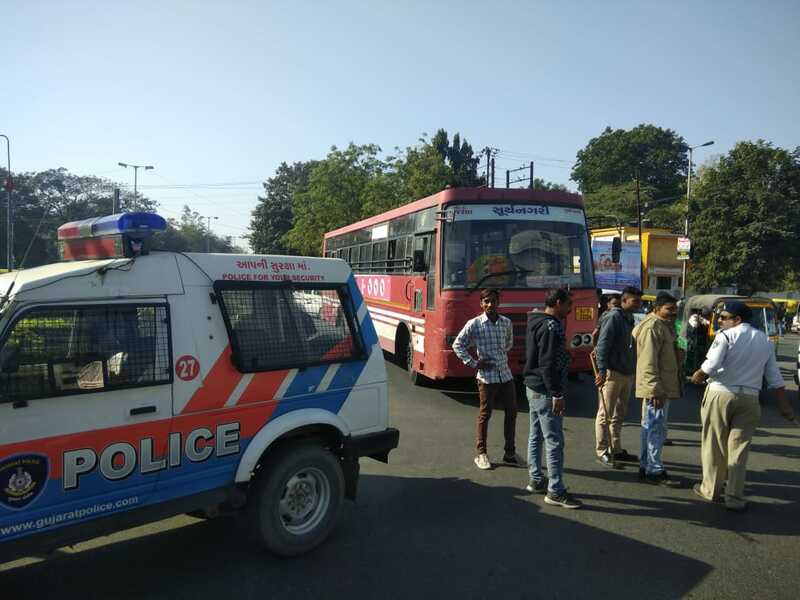 The girl fell from the two wheeler after dashed with the boundary of traffic circle and the incoming bus run over her leg. She was shifted to the hospital immediately and is under treatment. The freak accidents happened at Sushen circle where the girl’s leg was crushed under the wheels of the ST bus. People rushed to the spot after heard the cries of the girl and immediately shifted her to the hospital. Her condition is said to be serious.